United States senator Kelly (Bruce Davison) is attempting to push a bill called the Mutant Registration Act through congress. This would require all mutants to register with the federal government and carry a special identification card. There are groups of mutants opposed to the bill who are fighting against it. Charles Xavier (Patrick Stewart) and his X-Men believe in peaceful coexistence with humans and want to stop the bill through rational discussion. Magneto (Ian McKellen) and his Brotherhood of Mutants, on the other hand, believe in mutant superiority and want to stop the bill through more violent means. As Magneto starts to put his plan into action, the X-Men must find a way to stop him. Today, comic book movies have become box office gold and are almost guaranteed blockbusters, as long as they are at least competent. This wasn't always the case. Bryan Singer's "X-Men" really marks a turning point for comic book movies as a whole. 20th Century Fox didn't have much faith in the project, which is often the case when it comes to historically significant movies like "Star Wars." It was only allotted a below average budget, but of course, we know it went on to become a smash hit and it even paved the way for more graphic novel properties not involving Batman or Superman to be adapted to the silver screen. 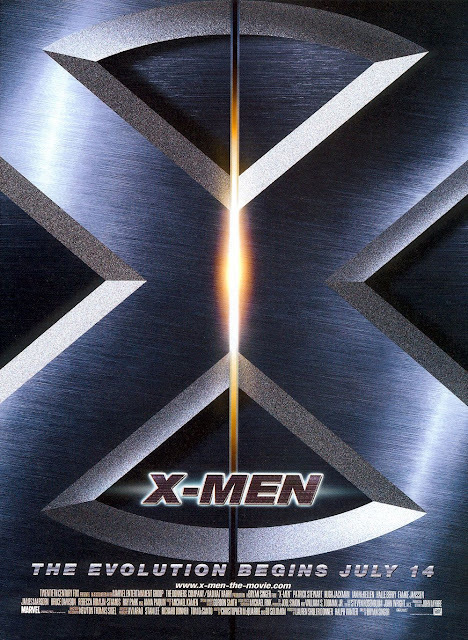 The original "X-Men" brought together a stellar ensemble cast including Patrick Stewart as Professor X, Ian McKellen as Magneto, Hugh Jackman as Wolverine, Rebecca Romijn as Mystique, Anna Paquin as Rogue, Halle Berry as Storm, James Marsden as Cyclops, and Famke Janssen as Jean Grey, just to name a few. As a first introduction into the X-Men universe, this is a fun, exciting movie with some decent special effects, especially when considering its 2000 release date. We're not saying all of the effects are top notch, but for a 16 year old movie, they hold up pretty well. We've seen worse effects in some more modern films even recently. The makeup work is great, too. Many of the characters here have merely makeup instead of body suits or costumes, and each character's signature look does a relative justice to the source material, barring Wolverine's lack of a yellow suit, of course. We have to admire the directing, too. It's hard to really create a compelling story with so many characters involved in one film. Bryan Singer does a great job introducing us to so many people in an interesting, not overcrowded way. It was a wise choice to dial it back and focus on a select few characters in order to develop them more clearly. Other characters fill out the background but are always there when they are needed. For the most part, "X-Men" still holds up pretty well, despite a line or two of extremely cheesy dialogue. The cast is great, the action is exciting, the effects are decent, and the narrative is both inventive and concise. It's apparently pretty faithful to the comic book series, which will make fanboys happy, and it isn't so overwhelming that the average, casual moviegoer will be bogged down by information and characters. We enjoy revisiting this one from time to time, especially when considering the strange, different nature of the X-Men in general. It's sort of a breath of fresh air compared to other either much too gritty or far too fluffy comic book adaptations.